8 August 2015 - I'm thankful I managed to get dressed and leave the house on time while having to direct latch my 3 month old and entertain my soon to be 3 year old while he picked curiously at my make up. He 'helped' put some eye shadow on my elbow too. He pulls out all the different colours and inists I use them all. He can't get over his head why amma is only using the dull brown tones. I finally manage to say good bye to them and head to Qliq Hotel, Damansara. It was a good 1 and a half hour drive on a Saturday afternoon. I arrive at the hotel which is connected to the Empire Damansara mall. It's pretty new, about 5 months I hear and I swear I can still smell the paint. I park outside on the main road (promising myself that I won't get a summons) and stride in to the event area at sharp 3pm. Many people are already there and mingling. Since I am a noob I scan around for familiar faces and detect two faces looking square at me but I don't know them. However, they exude some extremely good vibes. So, I walk around the lobby just to calm my nerves and take picture at the feature wall before I join the two happy faces. The two happy faces are Jane and Reia. We quickly and easily get a long to talking and are ushered in to the event room not long after. We sit right in front like good old nerds do. hehe. Reia then tells me sheepishly tells me "Can I tell you something embarrassing? I actually thought You were 'The Ambitionista'. 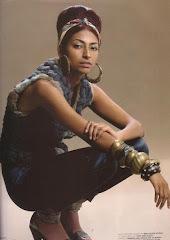 Tall dark and beautiful..what can I say, not wrong for her to get all confused ey? eheh. Well throughout the talk we share laughs on this. The Ambitionista, Heidi Nazarudin is a Fashion / Lifestyle blogger based in New York who is a fellow Malaysian. She has over 200k followers in her social media and is the President of BloggerBabes - LA, NYC & KL. 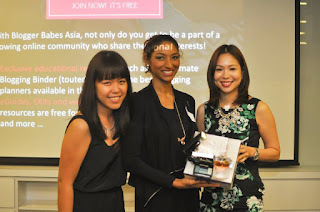 I thoroughly enjoyed her sharing session on how to become a great blogger. She touched on areas from branding to knowing your audience. She was very animated and driven as well as being very approachable. As I focus intently in to each and every word that Heidi saus, I am suddenly distracted by a gigantic camera lens to the right side at me. Fuwah! Yes. Mary-Jane who is a Clozette Ambassador and rightfully so proves that she is indeed a professional blogger! 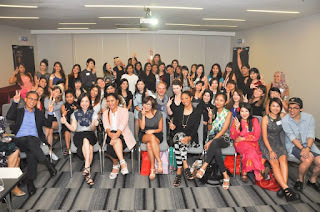 During the networking session I got to meet a few others like Stephanie Lim-Miss Malaysia World 2012, Jenny Ma-a teacher by day, Jeann who remembered me from Mifa8, Kancana, Tamanna - beauty blogger with gorgeous features, street fashion blogger sisters Blessed & Dressed and perhaps many more. 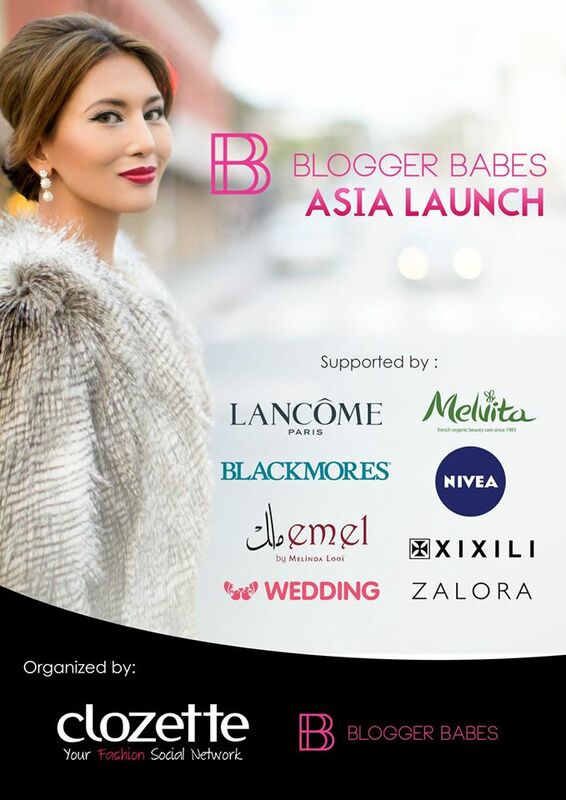 To add sweetness to the lovely event, Clozette did an amazing job with getting some great sponsors who were nothing less then generous with their gifts namely Lancome, Nivea, Melvita, Xixili, Melinda Looi, Zalora, Wedding.com.my and Blackmores. 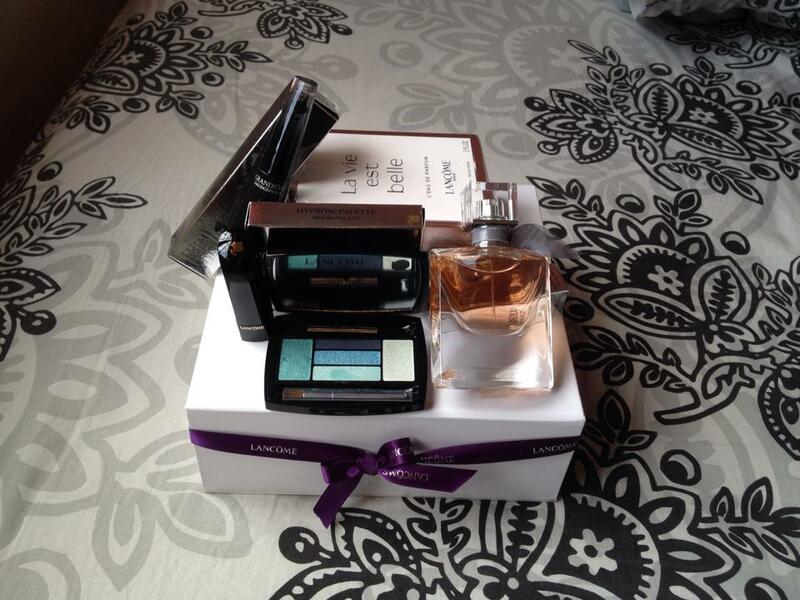 But wait that is not all, there was a lucky draw too. 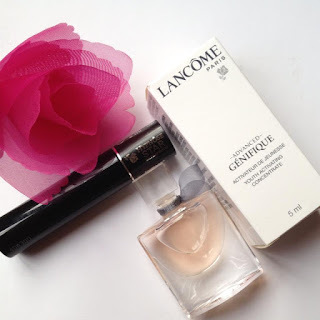 The prize that was in the eyes of all was the Lancome Gift Box. As I joked about my luck to Mary-Jane and Reina I suddenly here what seemed to be my name being called. "Oh my god! ", "Thats me! Looks like my lucks about to change", I blurt (shout) out! WOW right? Just Wow! And guess what? I'm so stoked about winning I decided to share my vibes with you by doing a Giveaway! Yes. These cute little products below can all be yours with a few simple steps. Follow me on Instagram 'themodelmom' and tag three friends and like the giveaway picture like the one above on Instagram. Make sure your Instagram is public so that I can view you and the tag. Leave a comment on this post that you have done Step 1 To double your chances become a member / follow my blog. Chill out and wait, get more friends to participate. I will contact you to send the sweetness to you! Winner will be announced on 30 August 2015.
can't wait to know who will be the winner. Hopefully can win this. I have follow your blog and done the step 1 in instagram. 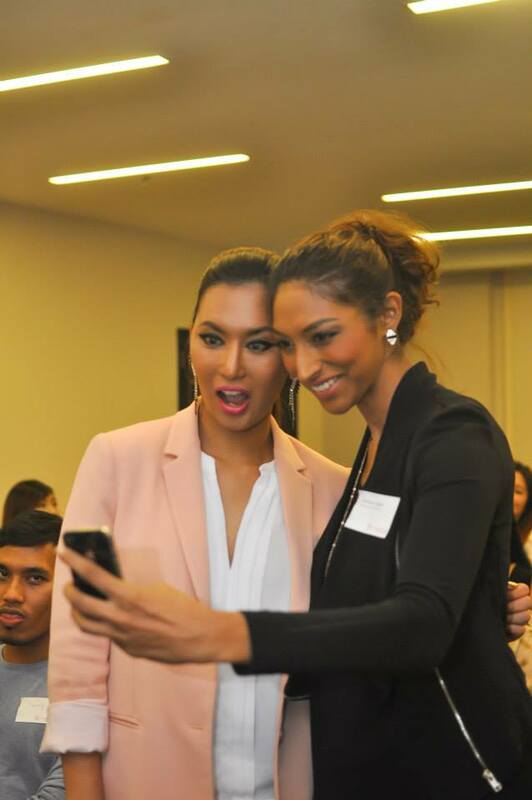 Themodelmom: Hi Amanda, Darsh, Huda and Mijaalan. Thank you for participating. I will contact the winner on 30 August 2015. In the mean time, please enjoy the articles I post and look out for more contests. Every like, comment and share is a blessing. Thanks once again! For successful events, the first step of corporate event planning is to find an appropriate venue. You need to find a place where there is proper breakfast or lunch can be arranged. And it is wise to shortlist a couple of venues before finalizing the best one.